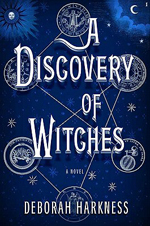 Warner Bros. has plans to adapt Deborah Harkness’ novel, A Discovery of Witches, into a feature film and, Variety reports, they’ve brought aboard David Auburn to provide the screenplay. When historian Diana Bishop opens a bewitched alchemical manuscript in Oxfords Bodleian Library it represents an unwelcome intrusion of magic into her carefully ordinary life. Though descended from a long line of witches, she is determined to remain untouched by her familys legacy. She banishes the manuscript to the stacks, but Diana finds it impossible to hold the world of magic at bay any longer. For witches are not the only otherworldly creatures living alongside humans. There are also creative, destructive daemons and long-lived vampires who become interested in the witchs discovery. They believe that the manuscript contains important clues about the past and the future, and want to know how Diana Bishop has been able to get her hands on the elusive volume. Chief among the creatures who gather around Diana is vampire Matthew Clairmont, a geneticist with a passion for Darwin. Together, Diana and Matthew embark on a journey to understand the manuscripts secrets. But the relationship that develops between the ages-old vampire and the spellbound witch threatens to unravel the fragile peace that has long existed between creatures and humansand will certainly transform Dianas world as well. Auburn is best known as the playwright behind “Proof.” He also wrote The Lake House and wrote and directed 2007’s The Girl in the Park.